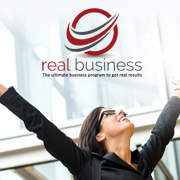 If you are currently operating a small business in Australia, and are looking to expand your business, then it might be an idea to look at getting a business coach to come on board your business. One of the very first things you need to look at when thinking of expanding your online business would be to create a well designed landing page to get people on your list. Using a business coach is a good idea as they can help you every step of the way in making the most of your small business. A business coach will have the expertise needed to help you every step of the way in ensuring your business becomes successful. They will be able to assist you in setting up a well optimized website that will be equipped with the necessary infrastructures such as an optin page, auto-responder, content management system, marketing emails, social media platforms, etc. In addition, you will receive all the tips you need to ensure you are at the forefront of managing your small business through using the latest business tools while drawing from their years of knowledge. The advice given will be in your best interest as they have the know how on what is all needed to make the most out of your small business in Australia. You can be sure that your business coach is in the best position to advise you due to being involved in helping other small business owners reach certain success. There are certain things that would require your careful consideration when working with your business coach. When setting up your website, you need to know how to create attractive pages for your site so you not only attract more people, but also have a sense of pride in your own work. Your coach will show you how it can be achieved. Then you would need to draw up a business plan in order to prepare for when it is time to approach banks, financial institutions or investors. You should be able to show them your projected income as well as your expenses. Other things to consider would be; how to get targeted traffic, what the best method of advertising would be, where to advertise so you attract visitors, what your competition is doing, and so forth. With the help of your business coach, you can be certain that your small business will turn into a roaring success as they will guide you every step of the way. You will gain insight on what methods to use when marketing to attract more customers to your business. As your coach specialise in this field, you can be sure they will help you to be up in running in no time at all. Not only will they show you how it is done so visitors will be beating a path to your website, but you will guided along the way to ensure your small business keeps running smoothly at all times. Just so I understand. You create your website, then your landing page and then you draw up a business plan?